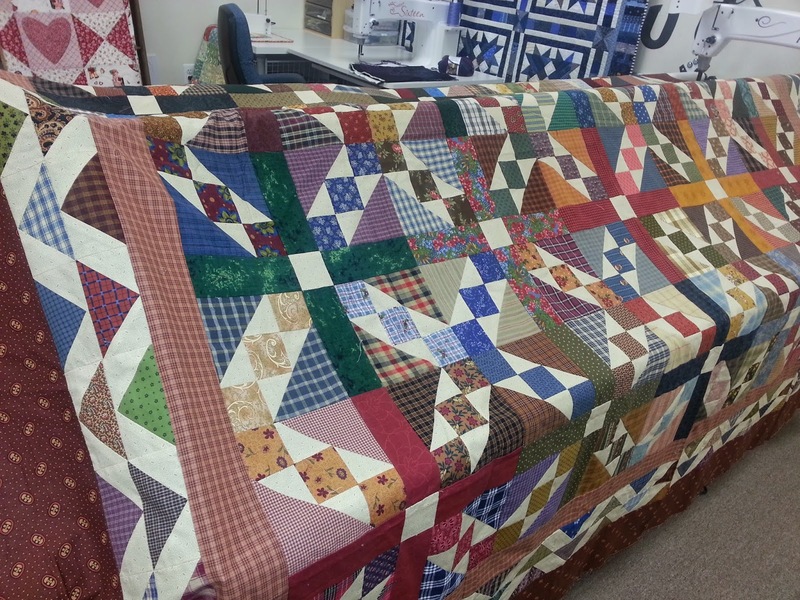 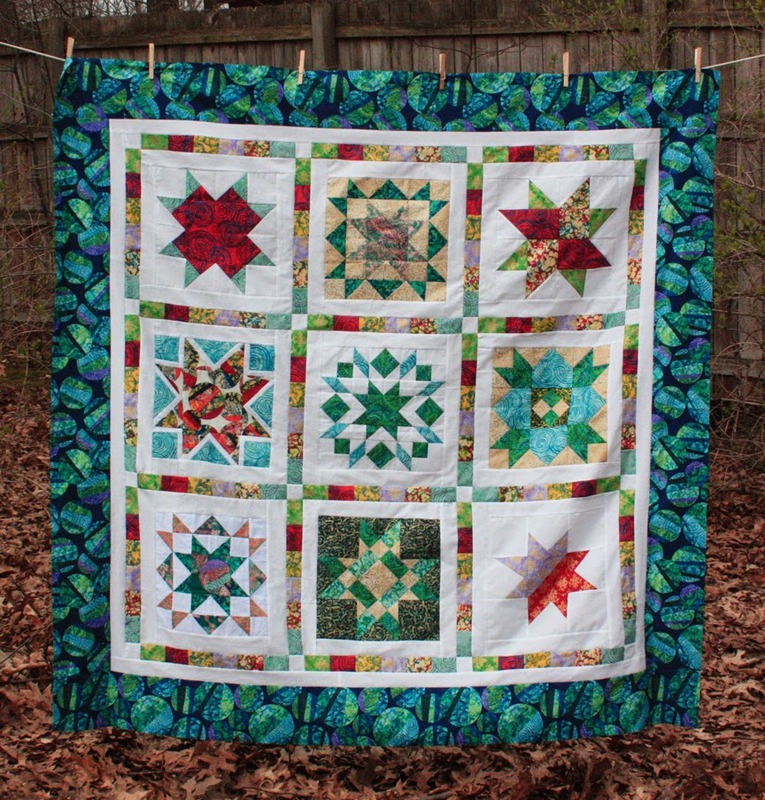 Star Sampler Blocks are now a Quilt Top! 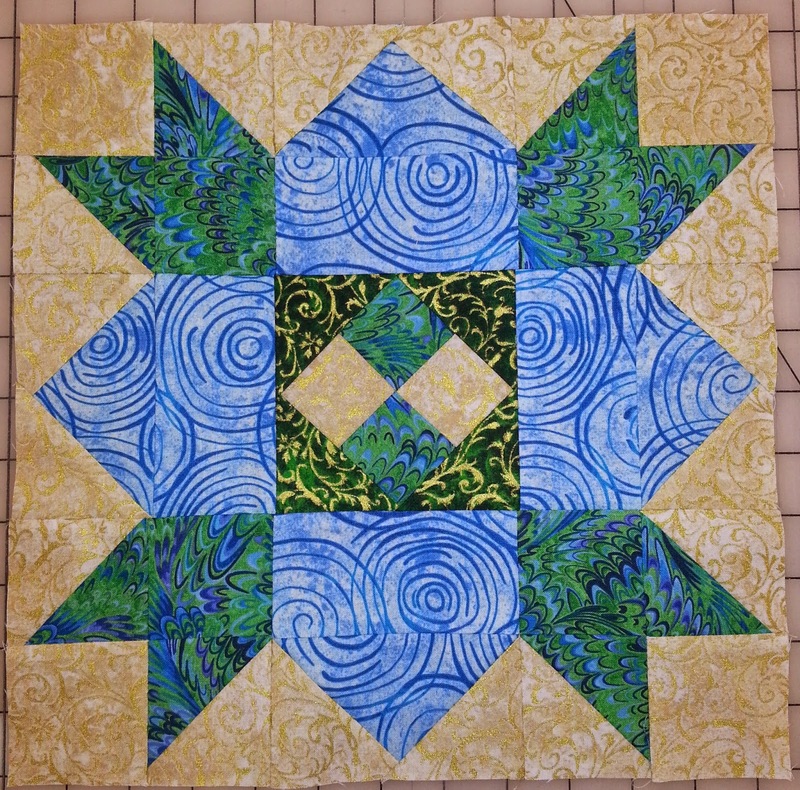 Remember back in March when I made This Block to participate in the Star Sampler Blog Hop for Fabri-Quilt? 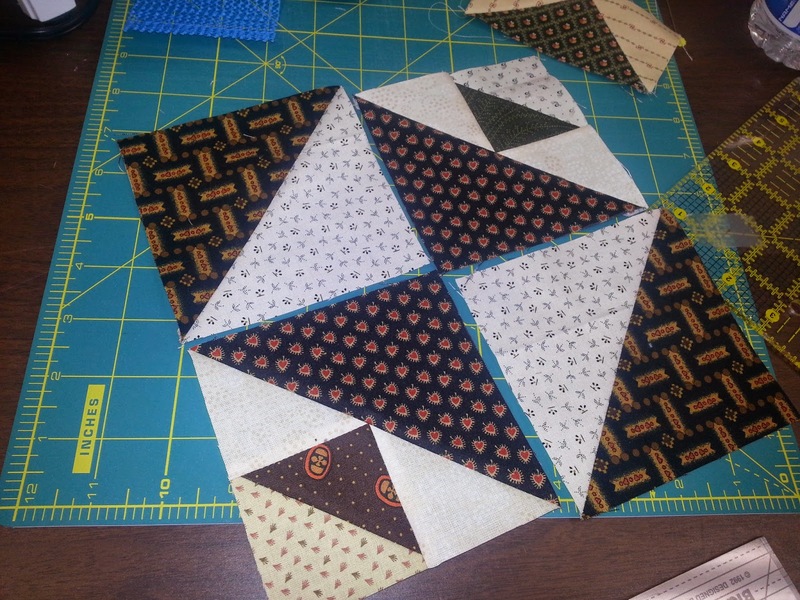 We'll now they've put all the Star Blocks together in a quilt! 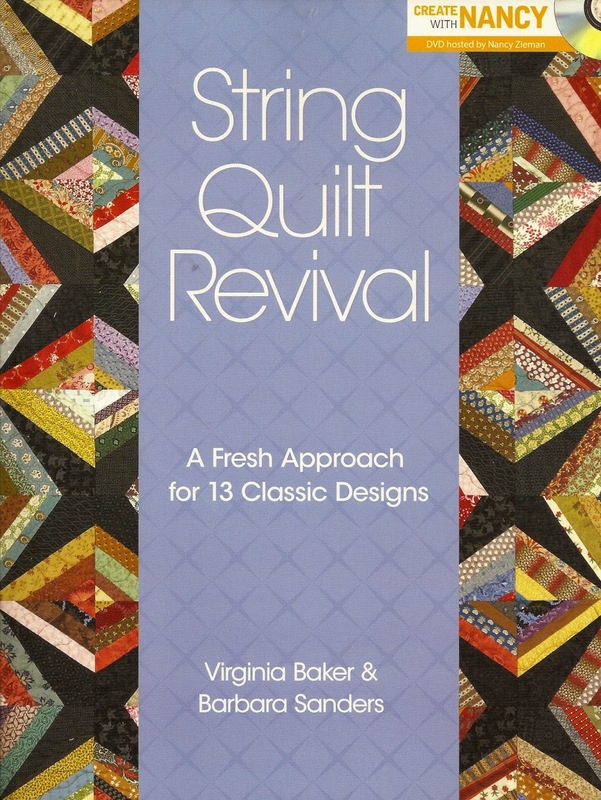 We'll be Stringing Along again on Thursday this week, all day 10:00 - 8:00 p.m., so come on by if you can and String Along with us ~ Go Here for the details. 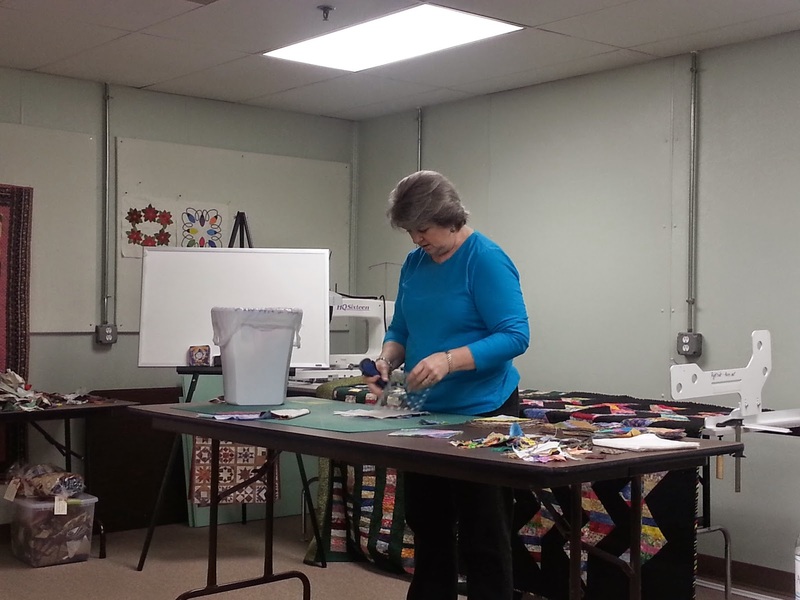 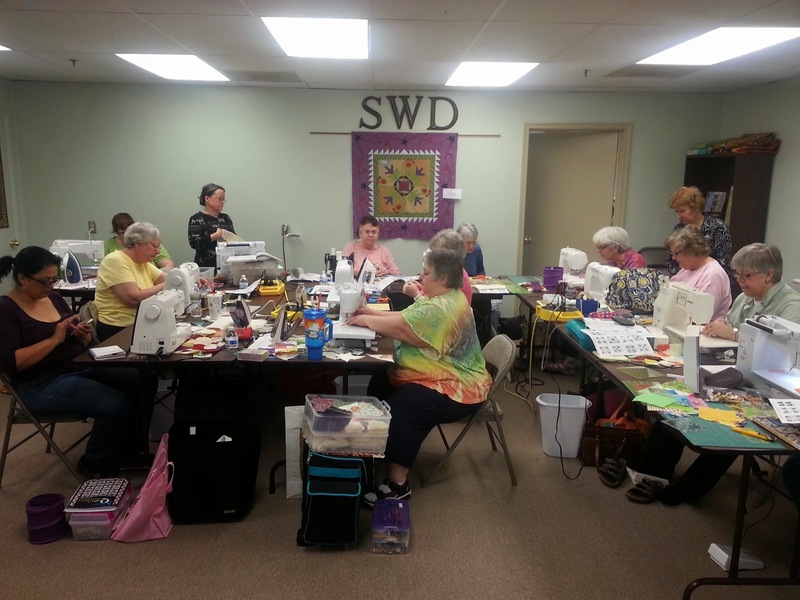 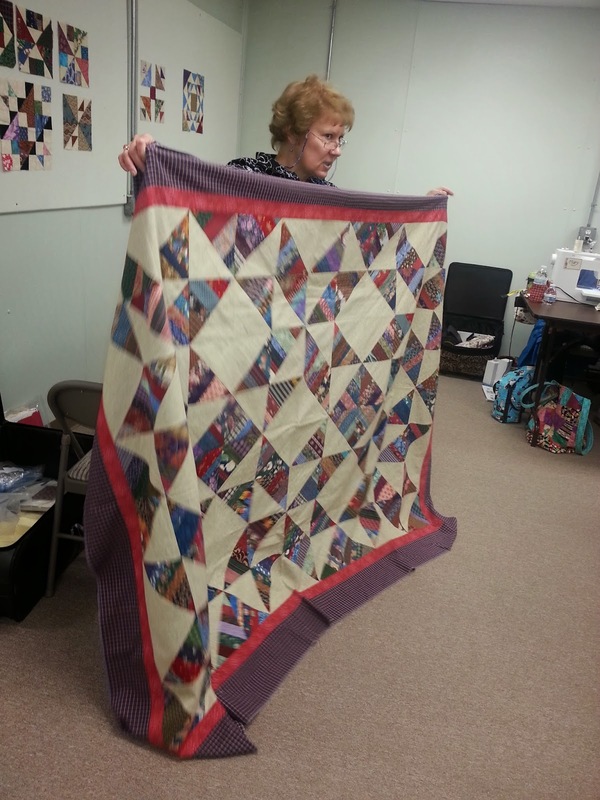 We had another full day class this week with Pat Speth teaching her Shaded Four Patch Workshop here at our shop. 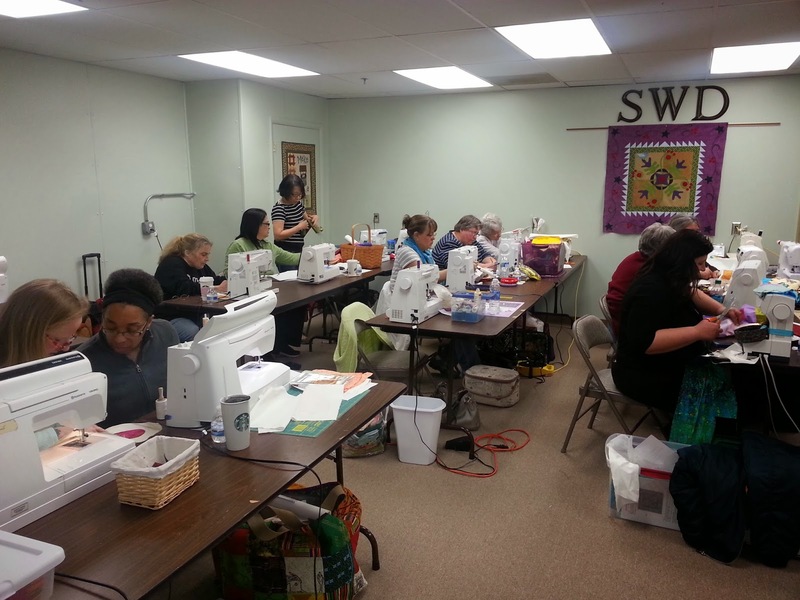 We had a great group of ladies come learn some new tips and techniques, and sew all day. 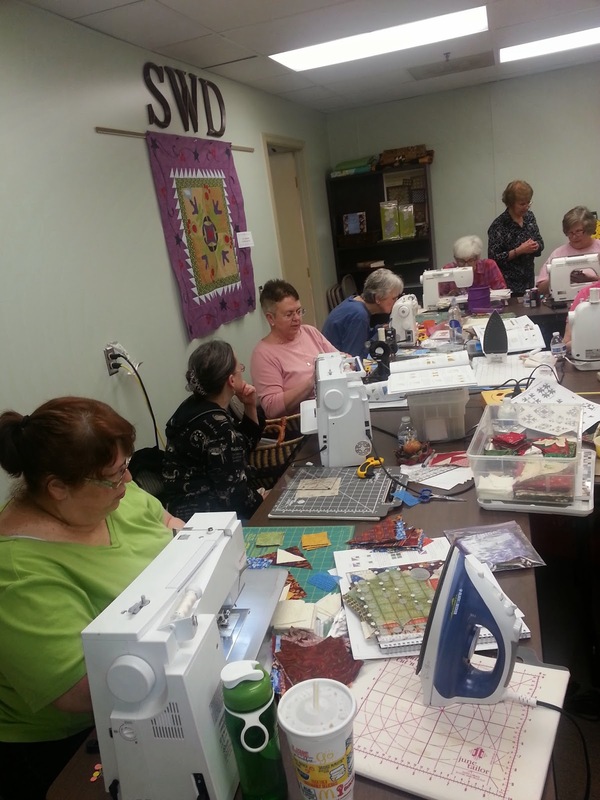 Lots of Fun & Information at the Pat Sloan Workshop! 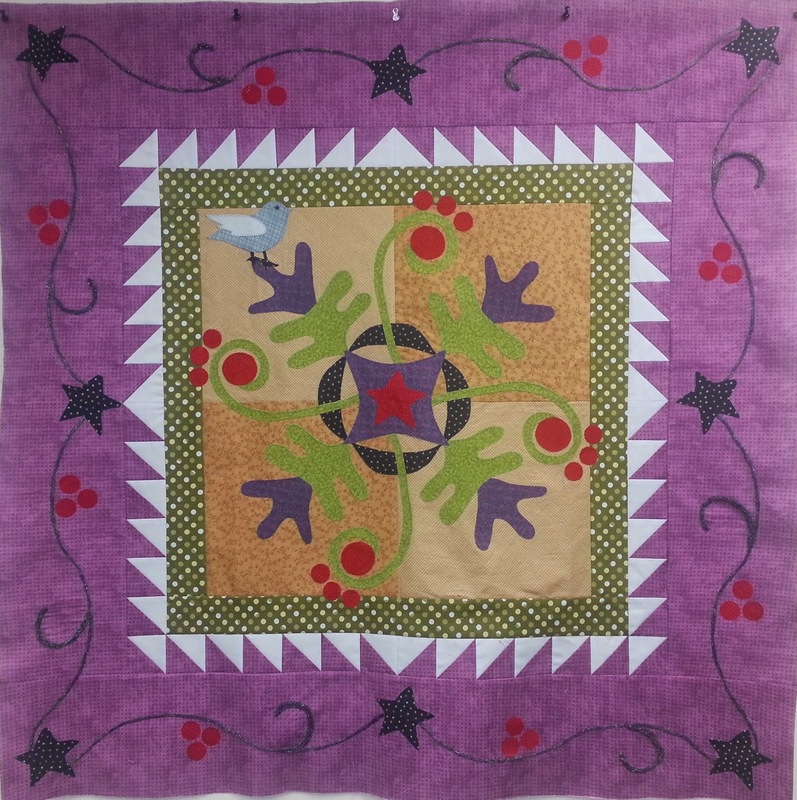 The project we did was based on Pat's Little Blue Bird pattern ~ This is my version made up in purples (I have two kits still available for this version of the quilt Here). 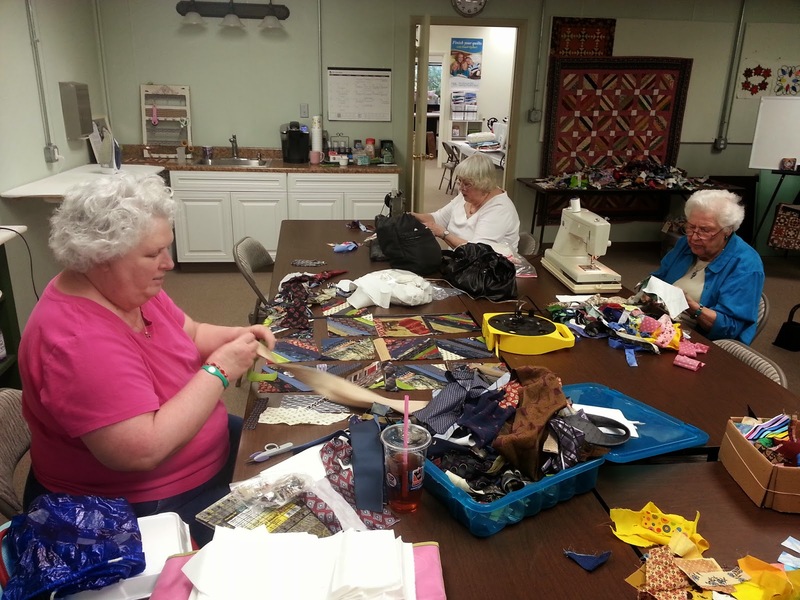 But the workshop was so much more than just working on the project. 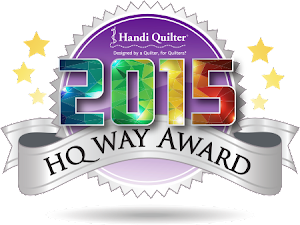 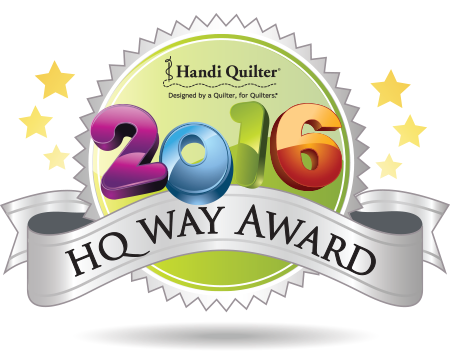 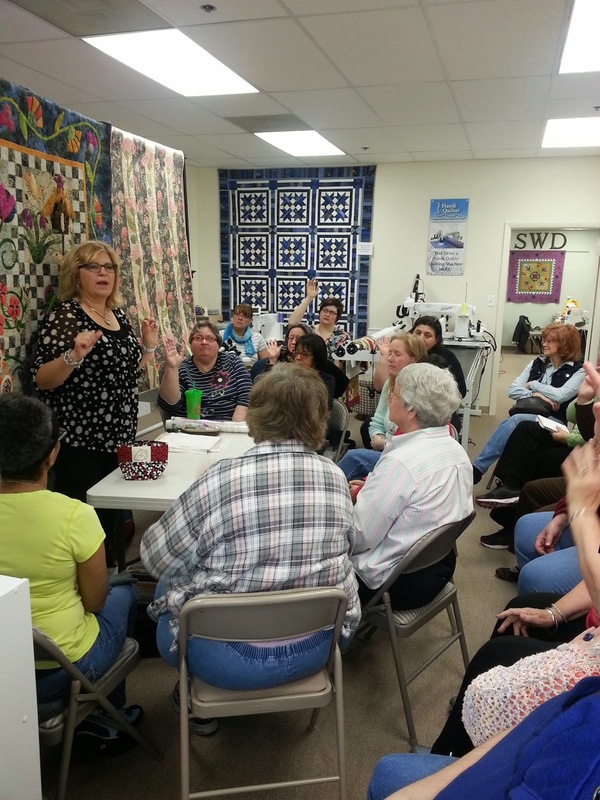 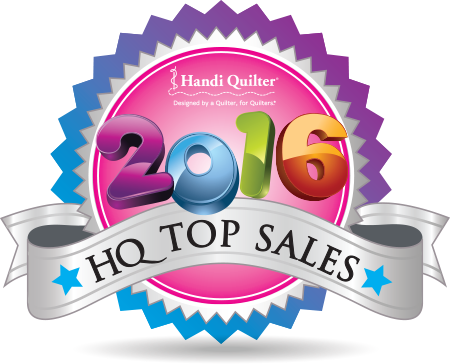 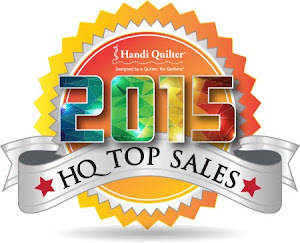 Everyone learned lots of tips on how to do fusible machine applique from beginning to end. 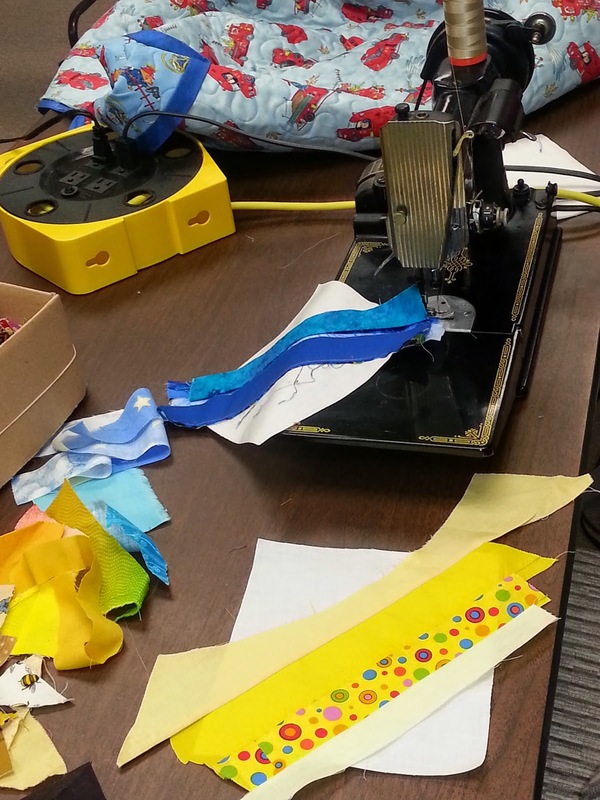 ...And demos. 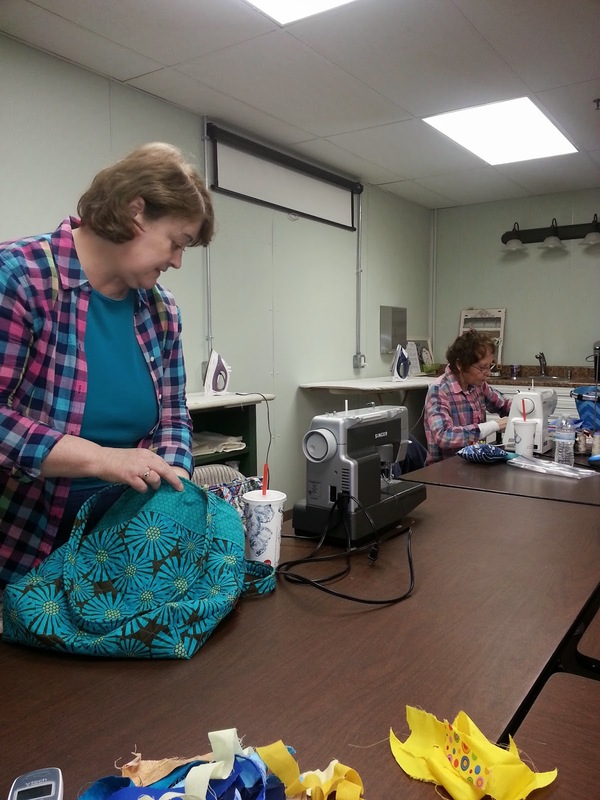 Pat had some really good information that she shared on fusibles, thread and techniques on stitching. 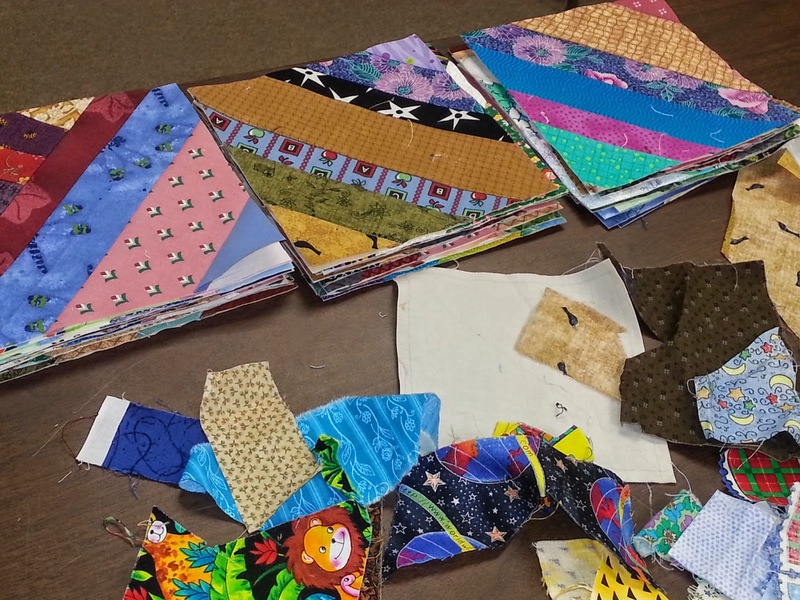 ...And of course my favorite part ~ fabric selection and playing with the different fabrics colors and textures. 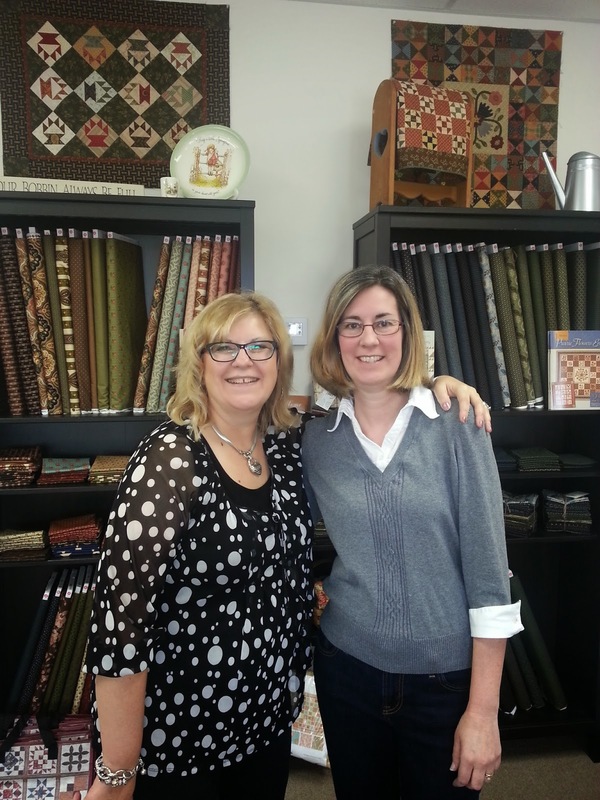 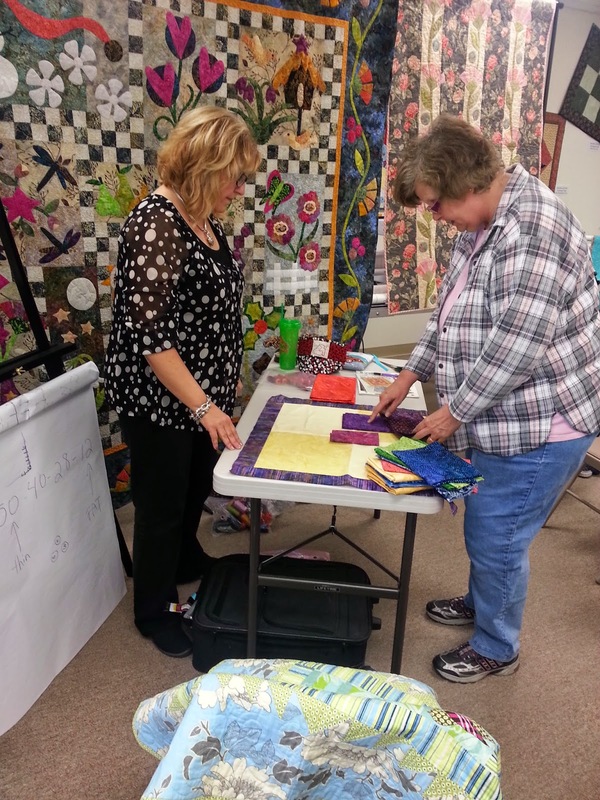 Pat has been very supportive of me and my little quilting adventure all along the way, so it was so special to have her come and be the teacher of our first day long workshop here at Spring Water Designs. 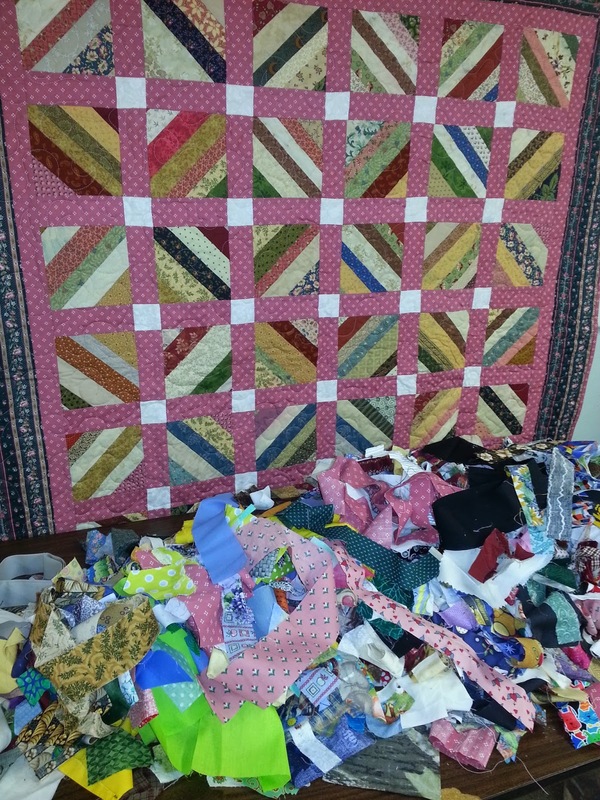 I know we'll have to have her back again one day! 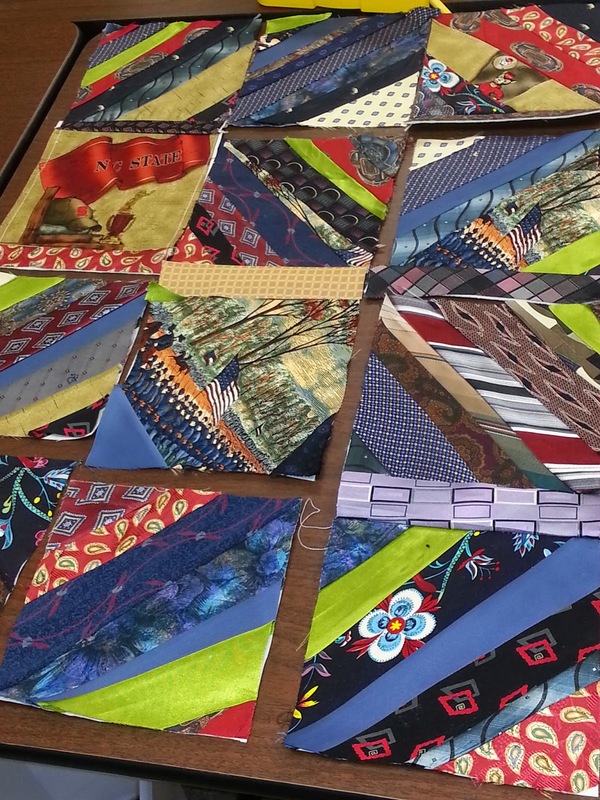 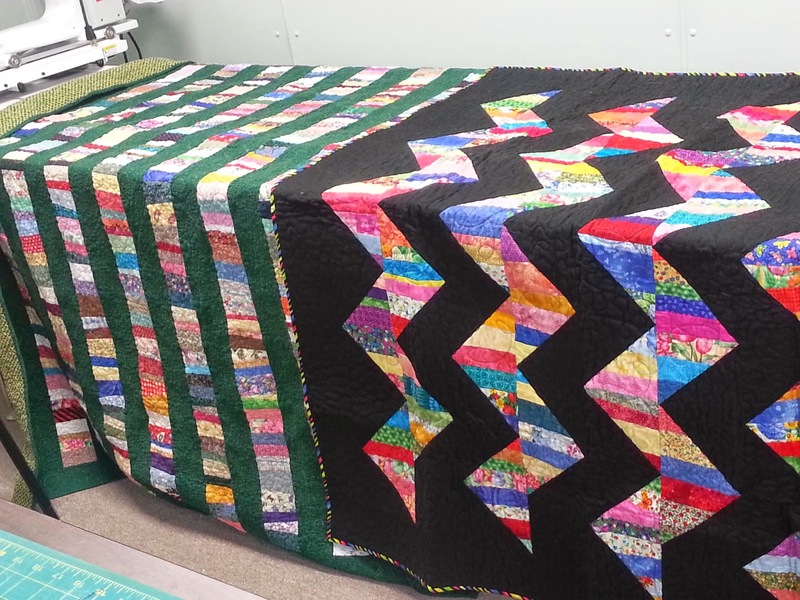 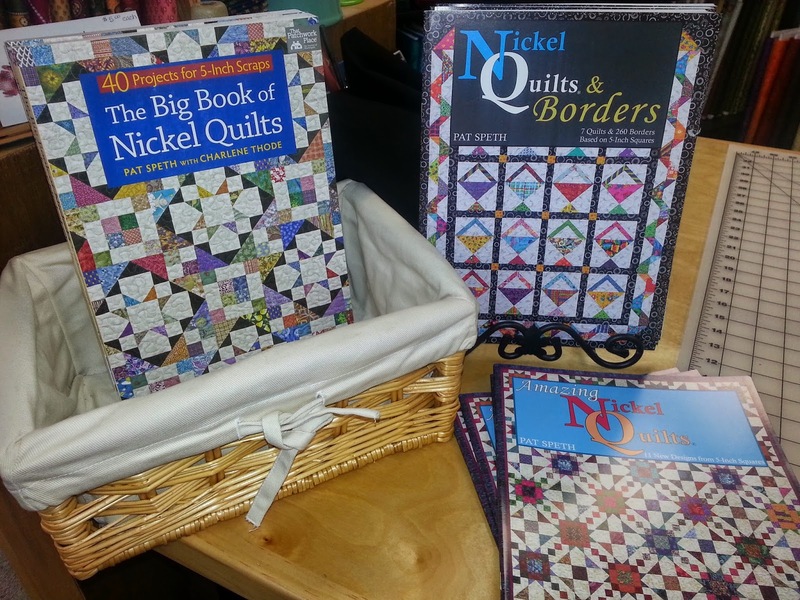 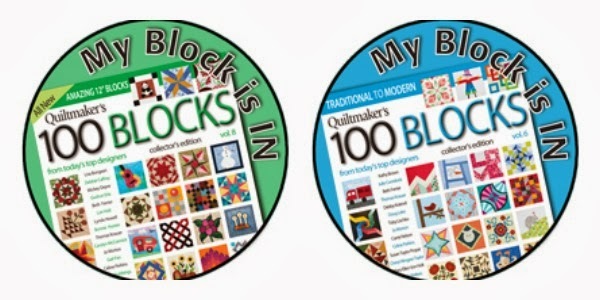 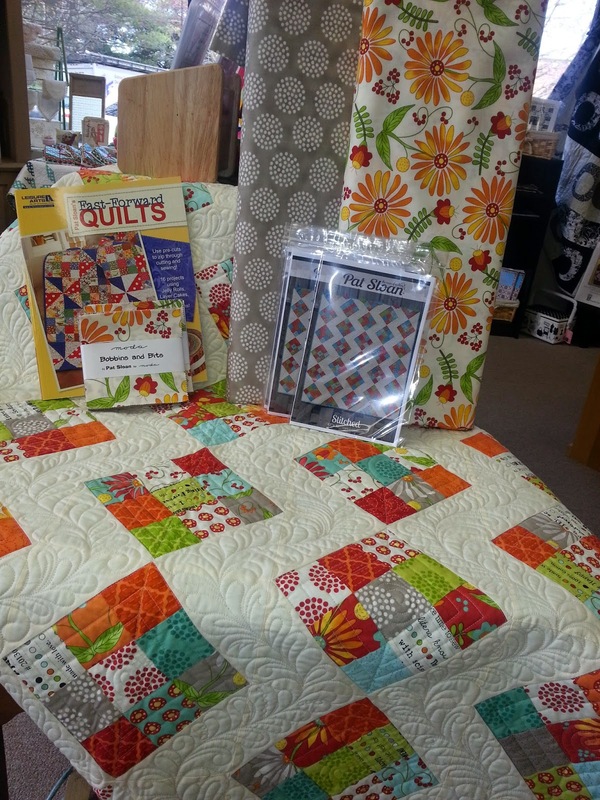 PS ~ If you missed this fun day, we have just a few spaces left in our next day long workshop with Pat Speth, author of the Nickel Quilts books coming up this Friday, April 11th. 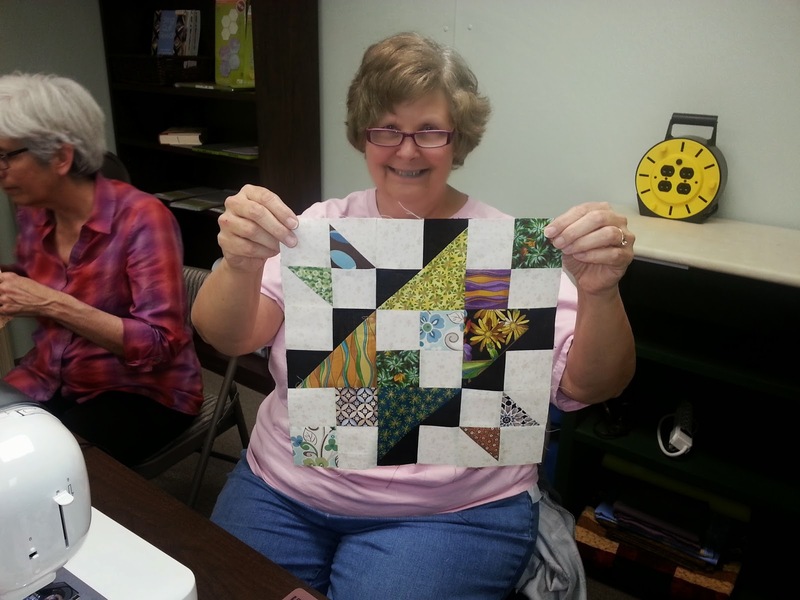 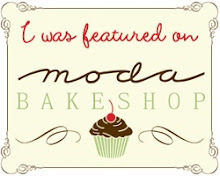 You can Click Here to read more about the class and to register.